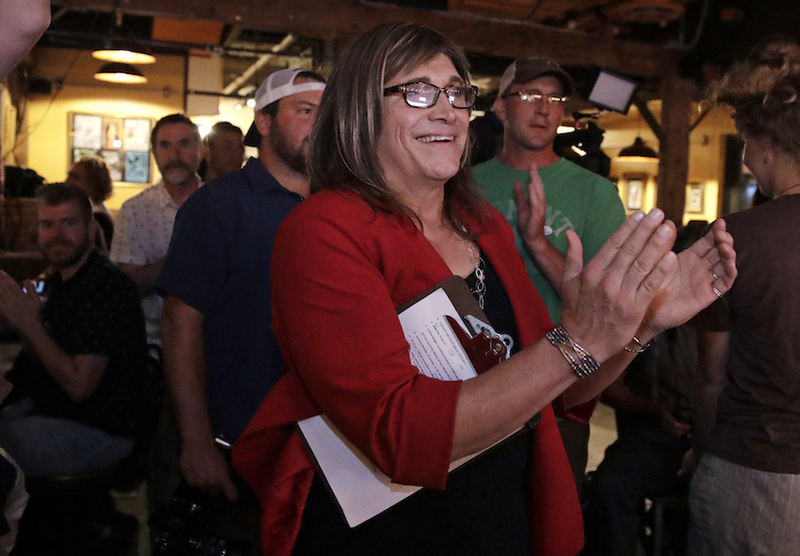 MONTPELIER, Vt. (CN) – Outstripping a 14-year-old among other contenders in Vermont’s primary race on Tuesday, Christine Hallquist became the nation’s first transgender candidate from a major political party to earn a gubernatorial nomination. Going on to face the incumbent Republican, Governor Phil Scott, in November, Hallquist won nearly 50 percent of the Democratic vote. A former executive at Vermont Electric Co-op, Hallquist made it a cornerstone of her campaign to address the statistic that over half of Vermont’s rural land mass cannot connect to the internet. She says she would ensure that every home and business in the state is outfitted with fiber-optic cables. Hallquist is also focused on economic development. Among the unsuccessful candidates to bow out with grace to Hallquist was 14-year-old Ethan Sonneborn, who took advantage of a quirk of the Vermont Constitution that includes no age requirements for a candidate for governor, stipulating only need that they must have lived in the state for four years. “I think if I can get one person who wasn’t involved in the political process before involved now, then my campaign will have been a success,” Sonneborn told CBS ahead of the election. 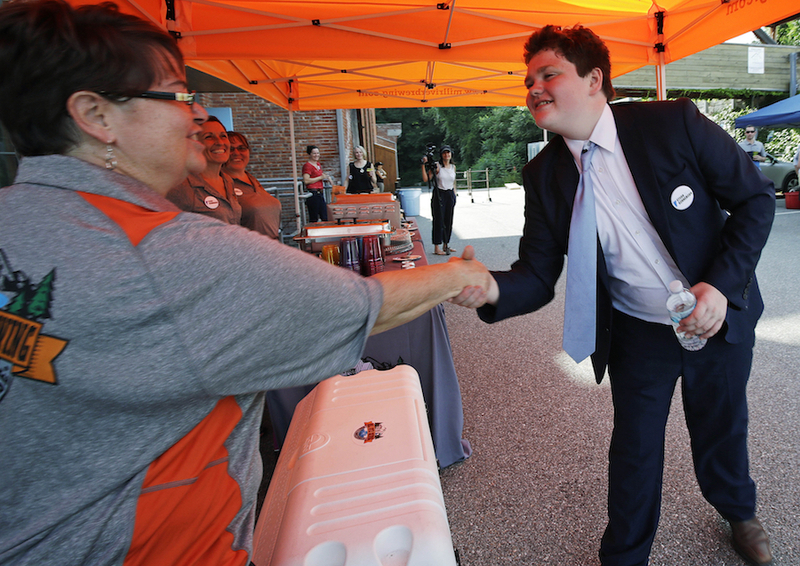 Tuesday’s Democratic primary also served up defeats to dance festival organizer Brenda Siegel and environmentalist James Ehlers, while Governor Scott won the Republican nomination over Keith Stone with two-thirds of the vote. Scott narrowly won his race in 2016 and has faced widespread backlash in recent months over the passing of gun-control laws in what has always been a firearm-friendly state. “Christine’s victory is a defining moment in the movement for trans equality,” Victory Fund CEO Annise Parker tweeted. On the national end, Senator Bernie Sanders won the Democratic primary with nearly 95 percent of the vote. Vermont law prohibits Sanders from being both an independent and a Democrat on the November ballot, which has led Sanders in previous years to decline the Democratic nomination, but accepted the party’s formal endorsement. Sanders is rumored to be planning a second presidential campaign in 2020. His opponent in November meanwhile remains unidentified. As of Wednesday afternoon, the Republican race consisting of four little-known candidates was too close to call.